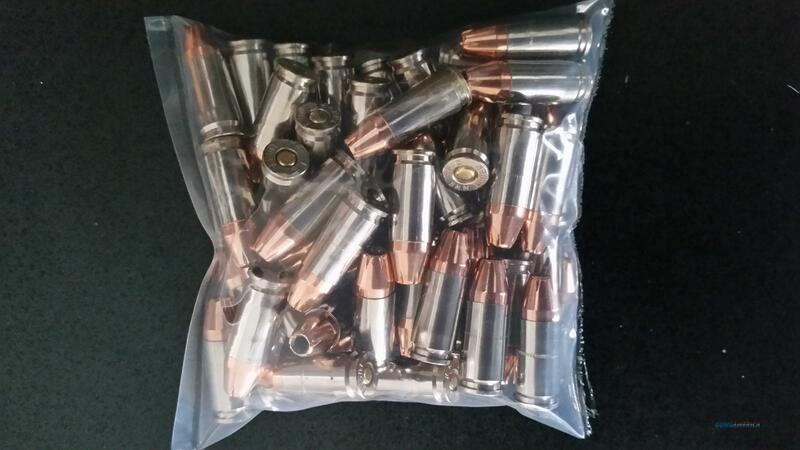 9mm 124gr. XTP Hollowpoints Nickel plated brass. Description: 50 9mm 124gr. XTP Hollowpoints LOADED ammunition. Hornady 124 XTP are sized .355. This is once fired nickel plated brass. The quality of these bullets is phenomial! All the same headstamps for better accuracy. Shipping is free to lower 45 only. California Oregon and Washington 7 dollars to your door. No international shipping. Illinois residents need to send me a copy of their FOID card. All others I need a copy of your driver's license. Add 2.7% for credit cards. Or if you prefer send a USPS money order... Or call to arrange for local pickup.